This website is operated by Gyöngyösláda Bt. Throughout the site, the terms “we”, “us” and “our” refer to Gyöngyösláda Bt. Gyöngyösláda Bt offers this website, including all information, tools and services available from this site to you, the user, conditioned upon your acceptance of all terms, conditions, policies and notices stated here. Our store is hosted on Unas.hu (https://unas.hu/). They provide us with the online e-commerce platform that allows us to sell our products and services to you. In no case shall Gyöngyösláda Bt, our directors, officers, employees, affiliates, agents, contractors, interns, suppliers, service providers or licensors be liable for any injury, loss, claim, or any direct, indirect, incidental, punitive, special, or consequential damages of any kind, including, without limitation lost profits, lost revenue, lost savings, loss of data, replacement costs, or any similar damages, whether based in contract, tort (including negligence), strict liability or otherwise, arising from your use of any of the service or any products procured using the service, or for any other claim related in any way to your use of the service or any product, including, but not limited to, any errors or omissions in any content, or any loss or damage of any kind incurred as a result of the use of the service or any content (or product) posted, transmitted, or otherwise made available via the service, even if advised of their possibility. Because some states or jurisdictions do not allow the exclusion or the limitation of liability for consequential or incidental damages, in such states or jurisdictions, our liability shall be limited to the maximum extent permitted by law. You agree to indemnify, defend and hold harmless Gyöngyösláda Bt and our parent, subsidiaries, affiliates, partners, officers, directors, agents, contractors, licensors, service providers, subcontractors, suppliers, interns and employees, harmless from any claim or demand, including reasonable attorneys’ fees, made by any third-party due to or arising out of your breach of these Terms of Service or the documents they incorporate by reference, or your violation of any law or the rights of a third-party. Questions about the Terms of Service should be sent to us at zoltan.kisjuhasz@gyongysziget.hu. 1.4 Our website incorporates privacy controls which affect how we will process your personal data. By using the privacy controls, you can specify whether you would like to receive direct marketing communications and limit the publication of your information. You can find the ways of such specification in this document. 1.5 In this policy, "we", "us" and "our" refer to Gyöngyösláda Bt. For more information about us, see Section 13. 3.2 We may process data about your use of our website and services ("usage data"). The usage data may include your IP address, geographical location, browser type and version, operating system, referral source, length of visit, page views and website navigation paths, as well as information about the timing, frequency and pattern of your service use. The source of the usage data is our analytics tracking system. This usage data may be processed for the purposes of analysing the use of the website and services. The legal basis for this processing is your consent OR our legitimate interests, namely monitoring and improving our website and services. 3.3 We may process your account data ("account data"). The account data may include your name and email address. The source of the account data is you . The account data may be processed for the purposes of operating our website, providing our services, ensuring the security of our website and services, maintaining back-ups of our databases and communicating with you. The legal basis for this processing is your consent OR our legitimate interests, namely the proper administration of our website and business OR the performance of a contract between you and us and/or taking steps, at your request, to enter into such a contract. 3.4 We may process your information included in your personal profile on our website ("profile data"). The profile data may include your name, address, telephone number, email address. The legal basis for this processing is your consent OR our legitimate interests, namely the proper administration of our website and business OR the performance of a contract between you and us and/or taking steps, at you request, to enter into such a contract. 3.5 We may process your personal data that are provided in the course of the use of our services ("service data"). The source of the service data is youThe service data may be processed for the purposes of operating our website, providing our services, ensuring the security of our website and services, maintaining back-ups of our databases and communicating with you. The legal basis for this processing is your consent OR our legitimate interests, namely the proper administration of our website and business OR the performance of a contract between you and us and/or taking steps, at your request, to enter into such a contract. 3.6 We may process information contained in any enquiry you submit to us regarding goods and/or services ("enquiry data"). The enquiry data may be processed for the purposes of offering, marketing and selling relevant goods and/or services to you. The legal basis for this processing is your consent. 3.7 We may process information relating to our customer relationships, including customer contact information ("customer relationship data"). The customer relationship data may include [your name, your employer, your job title or role, your contact details, and information contained in communications between us and you or your employer. The source of the customer relationship data is you or your employer. The customer relationship data may be processed for the purposes of managing our relationships with customers, communicating with customers, keeping records of those communications and promoting our products and services to customers. The legal basis for this processing is your consent] OR our legitimate interests, namely the proper management of our customer relationships. 3.8 We may process information relating to transactions, including purchases of goods and services, that you enter into with us and/or through our website ("transaction data"). The transaction data may include your contact details and the transaction details. The transaction data may be processed for the purpose of supplying the purchased goods and services and keeping proper records of those transactions. The legal basis for this processing is the performance of a contract between you and us and/or taking steps, at your request, to enter into such a contract and our legitimate interests, namely the proper administration of our website and business. 3.9 We may process information that you provide to us for the purpose of subscribing to our email notifications and/or newsletters ("notification data"). The notification data may be processed for the purposes of sending you the relevant notifications and/or newsletters. The legal basis for this processing is your consent OR the performance of a contract between you and us and/or taking steps, at your request, to enter into such a contract. 4.2 Financial transactions relating to our website and services are OR may be handled by our payment services providers. We will share transaction data with our payment services providers only to the extent necessary for the purposes of processing your payments, refunding such payments and dealing with complaints and queries relating to such payments and refunds. You can find information about the payment services providers' privacy policies and practices at https://www.cib.hu/legal_statement. 5.2 Mailchimp is our newletter platform provider and they are registered and situated in the USA. The European Commission has made an "adequacy decision" with respect to the data protection laws of the USA. Data transfers will be protected by appropriate safeguards, namely the use of standard data protection clauses adopted or approved by the European Commission, a copy of which can be obtained from https://mailchimp.com/legal/privacy/. (b) data related to the shipping of your order (name, address, e-mail address, telephone number) until the successful delivery of the order or in case of a failed delivery until the return of goods to the sender. (c) data related to the sending of newletters (e-mail address) until withrawal of your consent. 8.3 You have the right to confirmation as to whether or not we process your personal data and, where we do, access to the personal data, together with certain additional information. That additional information includes details of the purposes of the processing, the categories of personal data concerned and the recipients of the personal data. Providing the rights and freedoms of others are not affected, we will supply to you a copy of your personal data. The first copy will be provided free of charge, but additional copies may be subject to a reasonable fee. You can access your data by logging in to your account. 8.13 You may exercise any of your rights in relation to your personal data by written notice to us sent to info@gyongysziget.hu or by registered mail to Gyöngyösláda Bt. 1066 Budapest Jokai utca 5. 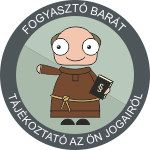 13.1 This website is owned and operated by Gyöngyösláda Bt. 13.2 We are registered in Hungary under registration number Cg.01-06-776489, and our registered office is at 1066 Budapest Jókai utca 5. 13.3 Our principal place of business is at 1066 Budapest Jókai utca 5, Hungary. (d) by email, using info@gyongysziget.hu. 1.) We ship only to European countries. 2.) Payment is possible with any VISA or MasterCard credit card or bank transfer (the latter only through a Hungarian bank). 3.) We post the packages with return receipt or using the TNT Parcel Service. If the value of the order is more than EUR 150 and the weight of the package is less than 1500 grams we ship your order for FREE. During periods of Special Offers and Discounts our free shipping offer is not applicable. 4.) Prices in our webshop include VAT and refer to the amount(s) indicated at the respective products or categories and are in Euros (EUR). 5.) Images are for illustrative purposes only and colours might differ in reality from those on your display. Please consider when ordering that - despite our best efforts - the products might differ in real life from those on the image. 6.) Submission of orders is possible without registration, however we encourage you to take the time and register for your convenience. 7.) Orders are processed between 11-18.00h on workdays or on the following day outside our business hours. 8.) Products featured in our webshop are in stock, except when marked "order only", these are indicated specifically. 9.) No packaging costs are billed. 10.) Products are shipped depending on the size of the order in air-cushoned envelopes or in cardboard boxes. Fragile products (e.g. Swarovski stones) are packed separately for extra protection.